Scholarship applications for Semester 1 2019 are now closed. Registrations are currently available for Semester 2 2019.
International students commencing studies with Federation University Australia may be eligible for an accommodation scholarship. Accommodation scholarships may range in value up to full accommodation fees scholarship $9,700. Registrations now open. Hurry, limited places available. 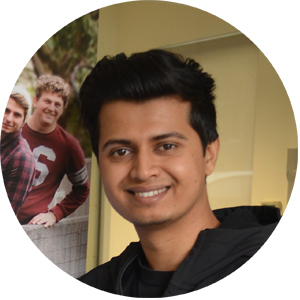 "Before I came to Australia, I was worried about affording the cost of living, but the accommodation scholarship has really allowed me to relax. When I arrived on campus, I found the location was great - it takes only five minutes to walk to classes, and the environment is really natural and fresh. Sometimes, in the mornings, I even see kangaroos!" 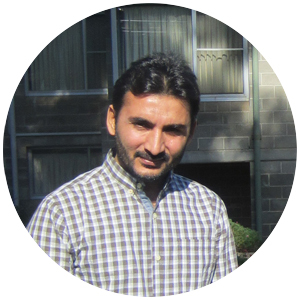 "Living on campus has made my start at FedUni awesome. It has enhanced my learning experience and provided me a chance to make multicultural friends, easy access to numerous resources such gym, library, supervisory team and interaction with other research students for better academic outcomes and many more. Res is my another home in Australia." 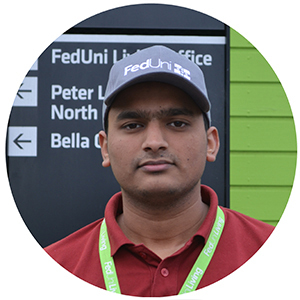 "People helping you like FedUni makes a difference, especially when travelling from another country, it’s good to have certainty when you arrive"
Answers to some of our frequently asked questions are available here. Offer terms, conditions and eligibility criteria apply. Visit our social media, give us a call, or send us an email to find out more about living on campus!